The Natural Stone Institute maintains a Natural Stone Resource library for Architects, Designers and Contractors at this site: https://bit.ly/2Fxo4mB. There are 274 documents that represent a wealth of information and wisdom to those who work with stone – 101 documents alone that deal with some aspect of stone installation. This document, Installation-General Information, is derived from an excerpt from the Dimension Stone Design Manual, Version VIII (May 2016). The included section below references materials and methods for setting a range of natural stone. 3.1.1.1 Portland cement mortar is a mixture of portland cement and sand, roughly in proportions of 1:3 for floors, and of portland cement, sand, and lime in proportions of 1:5:½ to 1:7:1 for walls. 3.1.1.2.1 The method (ANSI A108.1A) that requires that the stone be set on a mortar bed that is still plastic. 3.1.1.2.2 The method (ANSI A108.1B) that requires the stone to be thin set on a cured mortar bed with dry set or latex portland cement mortar or a two-part, 100% solids epoxy. 3.1.1.3 Suitable Backings Portland cement mortars can be reinforced with metal lath or mesh, backed with membranes, and applied on metal lath over open studding on walls or on rough floors. They are structurally strong, not affected by prolonged contact with water, and can be used to plumb and square surfaces installed by others. Suitable backings, when properly prepared, are brick or concrete masonry unit, concrete, wood or steel stud frame, rough wood floors, plywood floors, foam insulation board, gypsum board, and gypsum plaster. The one coat method may be used over masonry, plaster, or other solid backing that provides firm anchorage for metal lath. 3.1.1.4 Installation and Material Specifications. Complete installation and material specifications are contained in ANSI A108.1 for installation when bed is still plastic, and for cured float bed and thin set applications. 3.1.2.1 Thin-set mortar is a mixture of portland cement with sand and additives providing water retention, and is used as a bond coat for setting stone. 3.1.2.2 Installation Methods. Thin-set mortar is suitable for use over a variety of surfaces. The stone should be properly tamped in place into the mortar, which will be one layer as thin as 3/32” after tamping. Thin set mortar has excellent water and impact resistance, can be cleaned with water, is nonflammable and good for exterior work. 3.1.2.3 Thin-set mortar is available as a factory-sanded mortar to which only water need be added. Cured thin set mortar is not affected by prolonged contact with water, but does not form a water barrier. It is not intended to be used in trueing or leveling the substrate surfaces as tile is being installed. 3.1.2.4 Suitable backings. When properly prepared and in sound structural condition, suitable backings include plumb and true masonry, concrete, gypsum board, cementitious backer units, terrazzo, cured portland cement mortar beds, brick, ceramic tile, and dimension stone. Existing control joints including divider strips shall be maintained. Polished, glossy, honed, or smooth backup surfaces shall be roughened by sanding or scarifying. See ANSI A108.01 General Requirements: Subsurfaces and Preparations by Other Trades. 3.1.2.5 Installation and Material Specifications. Complete installation and material specifications are contained in ANSI A108.5 and A118.1. 3.1.3.1 Latex-Portland cement mortar is a mixture of portland cement, sand, and special latex additives which is used as a bond coat for setting stone tile. 3.1.3.2 Installation Methods. 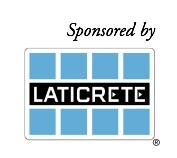 The uses of latex-portland cement mortar are similar to those of thin-set mortar. It is less rigid than portland cement mortar. 3.1.3.3 When latex-portland cement mortar is used to install stone in a wet area that may not thoroughly dry out in use (e.g., swimming pools and gang showers, etc. ), it is recommended that the complete installation be allowed to dry out thoroughly (cure) before exposure to water. Consult the thin-set manufacturer for curing instructions. Latexes vary considerably, and the directions of the latex Manufacturer must be followed explicitly. 3.1.3.4 Suitable backings (See 3.1.2.4 above). 3.1.3.5 Installation and Material Specifications. Complete installation specifications and material specifications are contained in ANSI A108.5 and ANSI A118.4. 3.1.4.1 This is a thin bed mortar system employing epoxy resin and epoxy hardener portions. A two-part, 100% solid epoxy is to be used as the setting bed for green colored marbles, serpentine stones susceptible to warping and for any fiberglass mesh-backed tiles. 3.1.4.2 Suitable Backings . Acceptable substrates, when properly prepared and structurally sound, include concrete, APA rated Exposure 1 underlayment grade plywood* , steel plate, and ceramic tile. Application is made in one thin layer. Pot life, adhesion, water cleanability before cure, and chemical resistance vary with manufacturer. 3.1.4.3 Installation and Material Specifications. Complete installation and material specifications are contained in ANSI A108.6 and ANSI A118.3. 3.1.5 Limestone Setting Mortar. Cement used with limestone shall be white portland cement, ASTM C150, or white masonry cement, ASTM C91. Nonstaining cement shall contain not more than 0.03% of water-soluble alkali when determined in accordance with procedure 15, calculation 16 of ASTM C91 or Federal Specification SS-C181C. However, if a large amount of normal cement has been used in the backup material, and if an effective water barrier has not been provided between the stone and the backup, the use of nonstaining cement may not prevent all discoloration. 3.1.6 Setting Bed. White portland cement with low alkali content is required for all light colored stone varieties. 3.2.1.1 Commercial portland cement grout is a mixture of portland cement and other ingredients, producing a water-resistant, dense, uniformly colored material. There are two types: white and gray. Damp curing is advantageous for both wall and floor types. 3.2.2.1 Sand-portland cement grout is an on the job mixture of one of the following proportions: one part portland cement to one part clean, fine-graded sand (ASTM C144) used for joints up to 1/8” wide; 1:2 for joints up to 1/2” wide; and 1:3 for joints over 1/2” wide. Up to 1/5 part lime may be added. Damp curing is necessary. Sand-portland cement grout should be applied with caution over softer varieties of stone with honed or polished finishes because it may scratch the stone surface. 3.2.3.1 Polymer modified portland cement grout is a mixture of any of the preceding grouts with polymer admixtures. The common polymer types are latex and acrylic. This grout is suitable for all installations subject to ordinary use and for most commercial installations. The use of polymer additives in portland cement grout increases the flexibility of the grout and reduces the permeability. Consult the grout and polymer manufacturers for specific instructions. It is less absorptive than regular cement grout. 3.2.4.1 Many manufacturers offer grouting materials in colors. Architects and Designers find them pleasing for aesthetic reasons. Since some stones are more porous than others, test to determine the stability of the relationship between the colored joint filler and the stone before proceeding. Make certain pigments contained in the colored grout do not stain the stone. 3.3 Sand. Sand should comply with ASTM C144. 3.4 Water. Mixing water must be potable quality. 3.5.1 Building sealants are normally covered as a separate section in project specifications, and in most trade areas the installation of sealants is not in the trade jurisdiction of Marble Mechanics and Stonemasons. Grouting is almost always in the stone specification. 3.5.2 Silicone Sealants. Some grades of silicone sealants are not recommended by their manufacturers for application on high calcite content materials. Consult the Sealant Manufacturer’s technical recommendation before applying a given sealant to calcite materials. 3.5.3 Severe service areas (patios, decks, traffic surfaces) should be caulked with materials having sufficient abrasion resistance. Consult Sealant Manufacturer’s technical recommendations for sealants in these areas. 3.5.4 Oil based organic sealants should not be used in conjunction with natural stone products because they may stain the stone. 3.5.5 Sealing the Face of the Stone. Nothing in this section is intended to imply that actual sealing of the faces of the stones is a recommended practice. If any sealer coating is specified for any natural stone material, advice should be sought in detail from qualified Stone Suppliers or Installers (See Ch. 3, pg. 3-5, section 5.10). 3.5.6.1 Controls both the depth and shape of the sealant. 3.5.6.2 Provides support for the caulking sealant when it is being compressed during tooling. 3.5.7 Waterproof sealant is applied in joints that have backing rods inserted. The backing rods can be porous (open cell), or nonporous (closed cell), and are typically made of polyethylene or polystyrene rope. 3.5.8 Consult the Sealant, Waterproofing, and Restoration Institute guidelines for further information on proper joint sealant design, selection, and installation. 3.6.1 Design and Location. Expansion and/or movement joints are essential for the success of stone installations. Various methods require proper design and location of expansion joints as shown in “Method EJ171,” from the Tile Council of North America Installation Handbook. [Ed. note: TCNA Handbook for Ceramic, Glass and Stone Tile Installation] Because of the limitless conditions and structural systems in which stone can be installed, the Specifying Authority shall show locations and details of expansion joints on project drawings. 3.6.2 Final Design. It is not the intent of this manual to make control and expansion joint recommendations for a specific project. The Architect must specify control and expansion joints and show location and details on drawings. 3.6.3 Sealants. Where so specified, joints shall be pointed with the sealant(s) referred to in this section, after first installing the specified backup material and applying a primer if required, all in strict accordance with the printed instructions of the Sealant Manufacturer. 3.6.4 All sealants shall be tooled to ensure maximum adhesion to the contact surfaces. 3.6.5 Expansion joint sealants include silicone, urethane, and polysulfide. Generally, urethane sealants are recommended for horizontal stone surfaces because of their resistance to abrasion and penetration. 3.6.6 Silicone sealants may be used in expansion joints on both exterior and interior vertical stone surfaces. Some one part, mildew-resistant silicone sealants are formulated with fungicide for sealing interior joints in showers and around tubs, sinks, and plumbing fixtures. 3.6.7 Sealants should comply with ASTM C920. 3.7.1 Moisture Penetration. The performance of a properly installed stone installation is dependent upon the durability and dimensional stability of the substrate to which it is bonded. The user is cautioned that certain substrate materials used in wet areas may be subject to deterioration from moisture penetration. 3.7.1.1 Wet Areas. “Wet areas” are stone surfaces that are either soaked, saturated, or subjected to moisture or liquids (usually water), e.g., gang showers, tub enclosures, showers, laundries, saunas, steam rooms, swimming pools, hot tubs, and exterior areas. 3.7.2 Self Leveling Underlayments. Gypsum-based and self-leveling underlayments are not recommended for use with stone paving, except in conjunction with an approved water-proofing/crack isolation membrane(See ANSI A118.10-118.12). If using this method, extreme caution in following the Manufacturer’s recommended procedure is required. 3.7.2.1 Installation of stone paving directly over gypsum based underlayment is not recommended. 3.8.1 General Contractor Responsibility. It is the responsibility of the General Contractor to provide a rigid, code-compliant structure that is adequate to accommodate the stone and its anchorage including all associated loads and forces. 3.8.2 Cast-in-Place Concrete Floors. Design substrate for total load deflection not exceeding L/360, as measured between control or expansion joints. 3.8.3 Frame Construction. The subfloor areas over which stone tile is to be applied must be designed to have a deflection not exceeding L/720 of the span. In calculating load, the weight of the stone and setting bed must be considered. 3.8.3.1 Strongbacks, cross-bridging or other reinforcement shall be used to limit differential deflection between adjacent framing members. 3.8.4 Maximum variation of a concrete slab or subfloor shall not exceed 1/8” in 10’ from the required plane when thin set systems are applied. 3.8.5 Allowance should be made for live load and impact, as well as all dead load, including weight of stone and setting bed. 3.8.5.1 Mortar Bed Weight. For estimating purposes, mortar bed weight can be approximated as 0.75 lb. per square foot per each 1/16” of thickness. 3.8.5.2 Stone Weight. For estimating purposes, stone weight can be approximated as 1 lb. per square foot per each 1/16” of thickness. 4.1 The Dimension Stone Contractor shall furnish samples of the various dimension stones to be used. Samples shall indicate the extremes of color, veining, and marking the stone supplied to the project will have. Samples must be approved or rejected in their entirety, without stipulation. 4.2 Pending the scope of the installation and the variability of the stone product, a full-sized mockup may be required to adequately demonstrate the range of the material’s color and character. 4.3 Inspection of supplied material to evaluate compliance with approved samples shall be done at a viewing distance of not less than 6’-0” with natural lighting. 5.1 All carving called for shall be performed by skilled workmen in strict accordance with approved full-size details or models. Architectural drawings will show approximate depth and relief of carving. Carving shall be left as it comes from the tool, unless otherwise specified. 6.1 During the progress of construction, changes are often necessary to accommodate other trade and design revisions. These changes may require job site cutting and some finishing of stone, and this can be executed satisfactorily by qualified mechanics. 6.2 Repair or patching is sometimes necessary due to damage of material either on-site or in transit. By allowing these repairs to be made on-site, progress of the job can be maintained, thus aiding the successful completion of the work. Repairs should not detract from the desired appearance or strength of the completed installation. 7.0 STONE TILE INSTALLATION REFERENCES. The Natural Stone Institute has participated in the Tile Council of North America’s (TCNA) development of the Handbook for Ceramic, Glass, and Stone Installation. This document is reprinted every year, although the handbook committee meets only biennially, so substantial revisions are likely to appear only biennially. This handbook includes a section dedicated to the installation of stone tile products. The details are not duplicated in the Natural Stone Institute publications. Contact the TCNA (www.tcnatile.com) or the Natural Stone Institute’s Book Store to obtain a copy of the handbook. 8.0 TRIPS AND TRAPS OCCURRING IN THE INSTALLATION OF NATURAL STONE, including stone tiles with fiberglass mesh backing, green colored stone, travertine voids, sealant staining, efflorescence, down washed lighting, reflection, and polishing wheel marks. To view the complete document, visit https://bit.ly/2HMniEa online. Printed with permission from the Natural Stone Institute. *APA – The Engineered Wood Association, Voluntary Production Standard PS 1-07 Structural Plywood. A new benefit from NTCA is CardConnect. This credit card payment processing company gives you an easy way to process payments and manage your merchant account. CardConnect offers best-in-class payments technology to ensure accepting debit and credit card payments is simple, secure and affordable. NTCA members enjoy a wide range of services from CardConnect at deeply discounted prices. You can easily add secure payment acceptance capabilities into any application, so you don’t have to reinvent the wheel to process payments. Card Connect offers developer tools, enterprise solutions as well as ISV integrations, for point-to-point encryption. With Card Connect, transactions are protected with highly effective security solutions that ensure PCI compliance. A full range of reporting tools makes keeping track of transactions easy and efficient, from your office or on the road. For more information about CardConnect, or about joining NTCA, please contact Jim Olson at [email protected] or phone 601-942-2996. Forty years ago, a school-age Kerry Rogers started helping out his dad and granddad in the tile trade, as a way to earn some pocket money and work with his hands at something he enjoyed. This hobby became a profession over the years, as Rogers gained proficiency and helped his family members tile the country’s first Bass Pro Shop and chain restaurants like McDonald’s, KFCs and Burger Kings in the Springfield/Kansas City, Mo., area. After Roger graduated high school, he moved to Arizona in 1980, opening his first company and doing business in the Tempe area. He had his own employees – mostly running a crew of four, which was his sweet spot in being able to keep tabs on quality – but when working on a large hotel project, he had the challenge of maintaining quality while running a 15-man crew. In 1989, he moved back to Springfield and started the Missouri Tile Company, installing tile at restaurants like Chick-Fil-A, McDonald’s, Taco Bell, Burger King and Popeyes. It was during this era when he took a tender, young tile helper under his wing – none other than the NTCA’s own trainer/presenter Robb Roderick! “In all of my years of helpers, Robb has really stood out as one of the best helpers I ever had,” Rogers said. “He was polite, on time and energetic.” Rogers also trained John Allsbury, who is now Schluter’s Director of Sales, Western Region. Missouri Tile Company continued till the dearth of work in 2008 during the recession forced him to shut down and travel the country doing any work he could find, until three years ago when the market improved and he reinvented his business once more as a solo contractor doing residential work, 98% of which is new construction. As a solo contractor, Rogers was attracted to the technical support and vouchers that the NTCA offered. Plus, he said, “Robb is a good salesman. Vouchers help out with supplies and 24-hour support is important when I need help and a question answered.” His local setting materials rep also offers great technical support, but the “vouchers, the Handbook and having technical support there when I needed” made it easy for him to decide to join. His four decades of experience also provide a unique perspective over how things have changed. The new Global Learning Center at Walsh University in North Canton, Oh., will truly be a communications hub for students and faculty. The two-story atrium building has an open, modern design to encourage and support maximum interaction. The sunlight-filled facility will house student labs for fast-growing technology-based fields of study such as computer engineering or video production, The Forum – an aptly named space for two of Walsh’s important research institutes – contains an atrium café, meeting areas and more. The building’s open design incorporates the use of many windows, curved glass railings and round support columns. Stylish large-format tile flooring adds to the modern feel with 30” x 30” and 15” x 30” thin gray tiles covering about 11,000 sq. ft. on both the first and second levels. For an additional 1,000 sq. ft. of tile in the restrooms, sleek 12” x 24” thin panels were selected. 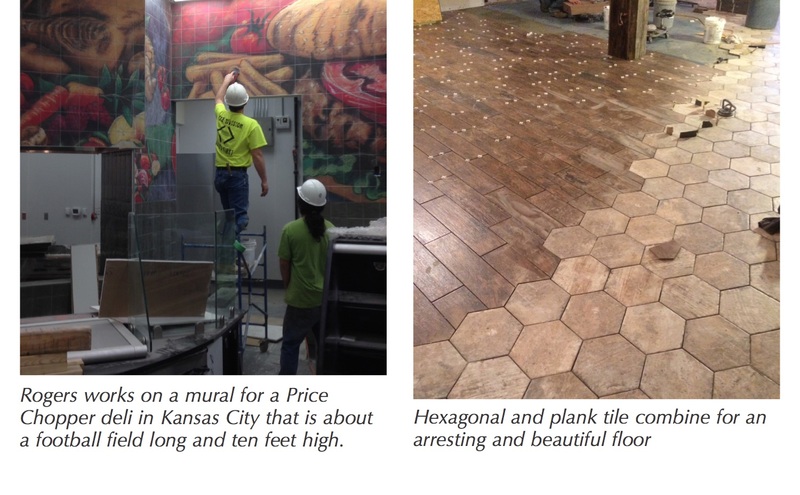 Distributor Virginia Tile of Cleveland helped ensure that TEC® flooring installation products were specified to meet the unique challenges of the job. 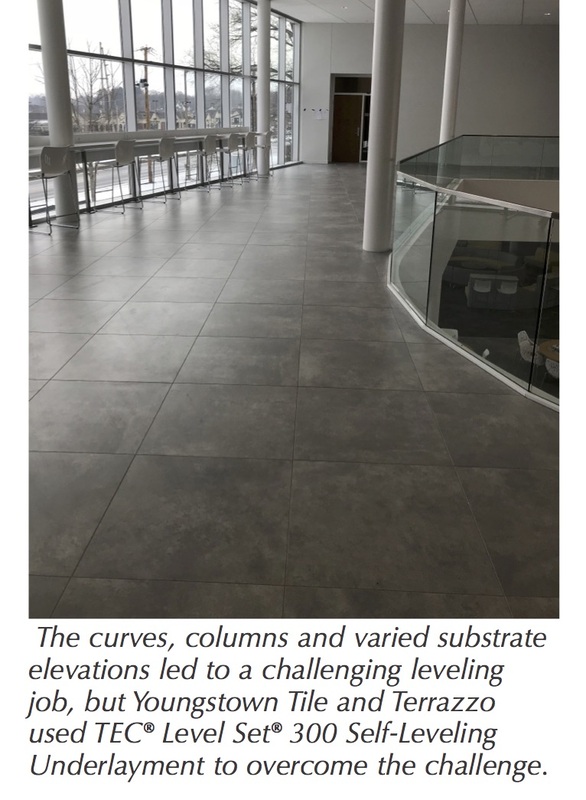 With a tight construction timetable and lots of curved columns and curved flooring lines along atrium railings, installation of the Global Learning Center’s large tile panels required special skills. 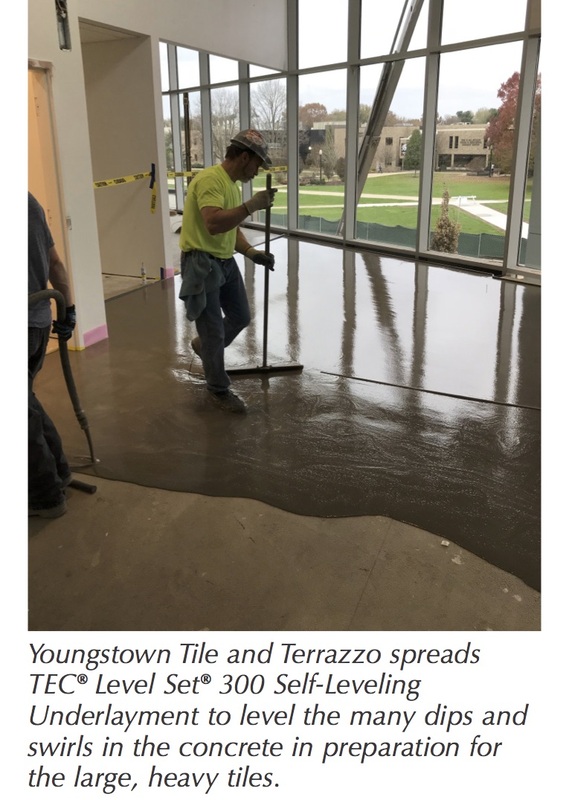 Luckily, Youngstown Tile and Terrazzo (YTT), a NTCA Five Star Contractor, had the skills needed to accomplish this challenging tile installation. When YTT arrived at the Global Learning Center site, they quickly discovered that leveling the substrate would be tough. The new concrete had varying elevations. On the first floor, there were frequent dips and swirls up to 1/2”. On the second level, the concrete changed depth by up to 1-1/2” across a 6’ section. In addition, the many columns and curves added leveling complexity. 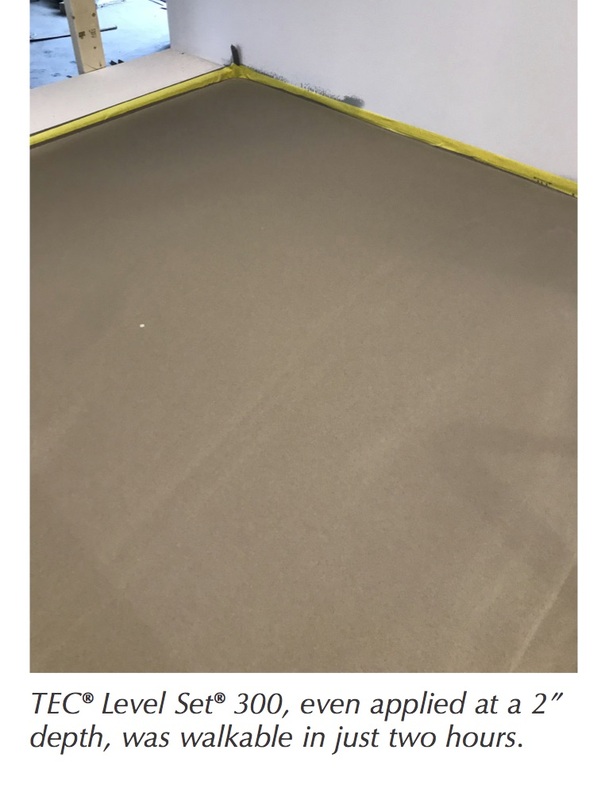 After priming with TEC® Multipurpose Primer, YTT pumped new TEC® Level Set® 300 Self-Leveling Underlayment to correct the variations. Josh Cohol, President of YTT, explained, “The new TEC Level Set 300 created as close to a perfectly flat surface as I’ve seen. We pumped the product and noticed its excellent flow ability to reach around the many columns and follow the curved flooring edges. Even applied at a depth of 2”, it was walkable in just a couple of hours.” Cohol appreciated frequent on-site support from H.B. Fuller Construction Products’ Charlie Renner, Technical Sales Manager, and Ron Sheldon, Technical Services Manager. 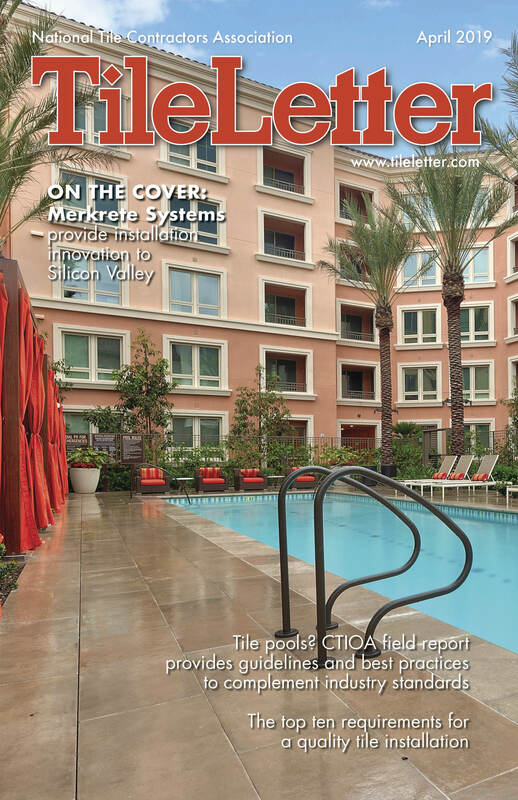 To mitigate concerns about cracks migrating up through the large, thin tiles, TEC® HydraFlex™ Waterproofing Crack Isolation Membrane was specified. YTT rolled on the membrane before troweling on the mortar. For the larger expanses, TEC® 3N1 Performance Mortar was used. TEC 3N1 is a lightweight premium mortar with Easy Trowel Technology™ for superior handling and extended open time – appreciated for large spaces and large tiles. The Global Learning Center’s round columns required challenging radius tile cuts and a 17° angled layout to follow the column line on the second floor. YTT’s experienced installers successfully navigated through all the challenges with impressive results. For the bathrooms, TEC® Ultimate Large Tile Mortar was used to handle the large tiles on both the floors and walls, where its non-slip and non-slump properties made tiling much easier. To finish the dramatic tile installation, YTT grouted with TEC® In-Color™ Advanced Performance Tile Grout. YTT was impressed with how easy it was to grout with the ready-to-use product. TEC In-Color Grout is crack-resistant, stain-proof, and chemical-resistant with no sealing required. 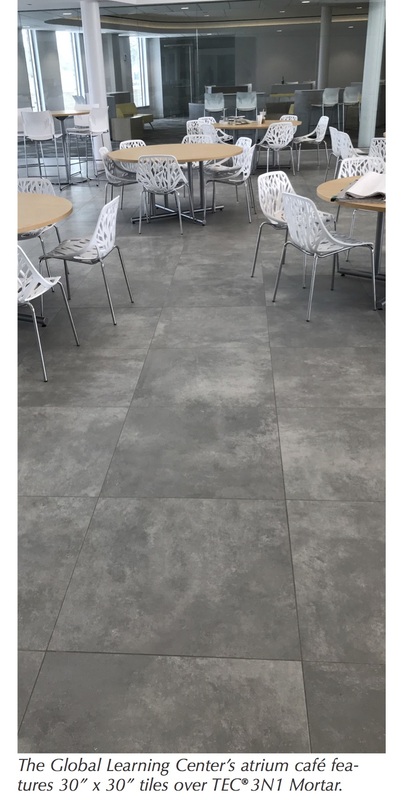 In other words, the product was just right for the very large tiles set in the high-traffic spaces of Walsh University’s new Global Learning Center. For more information about the products used at Walsh University, visit www.tecspecialty.com. ©2018 H.B. Fuller Construction Products Inc. The 12” x 24” tile on the bathroom floor and walls was installed with TEC® Ultimate Large Tile Mortar. Back in the 1940s, when Ray McIntire of Dow Chemical was laboring to create flexible electrical insulation, he could not have foreseen that his efforts would someday evolve into routine tile-setting practices such as prefabricated foam shower pans and other shower waterproofing elements. McIntire’s experiment involved gases directed into heated polystyrene – and a “happy accident” resulted: a product that was 95% air! This product became best known for use in disposable cups, coolers, and packing materials: “Styrofoam” was the end result. From these humble beginnings, Styrofoam™ (aka EPS or expanded polystyrene foam) is now used extensively in construction, from road building to home building. 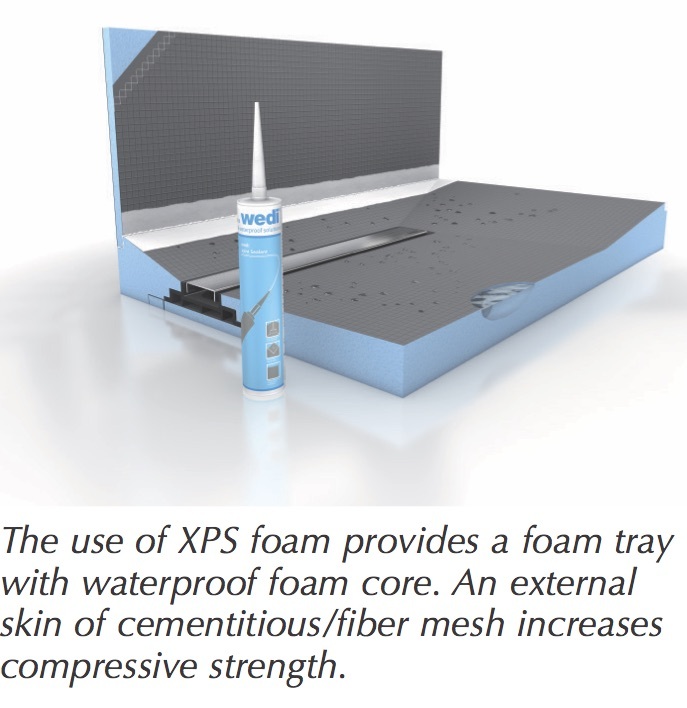 In the late ‘90s a U.S.-based company and another in Europe started to explore ways in which EPS foam might be used as part of the shower pan waterproofing system. The practice of using EPS foam as a substrate for tile and stone which functions as a suitable foundation for a shower pan, has grown to become a legitimate alternative (not replacement), to conventional dry-pack mortar substrates. Product offerings have increased as more vendors offer EPS foam shower pans and trays as part of their waterproofing solutions. Their growing use in a variety of residential and commercial applications is driving the demand for a method in which established norms of performance can be determined, (good, better, best), amongst the various offerings. One of the earliest offerings focused on creating the required “pre-pitch” beneath loose-laid shower pan. EPS foam was prefabricated to create the sloping 1/4” per foot template, and when glued to a laminated/corrugated “shell,” it replaced the traditional dry-pack, pre-pitched mortar bed. 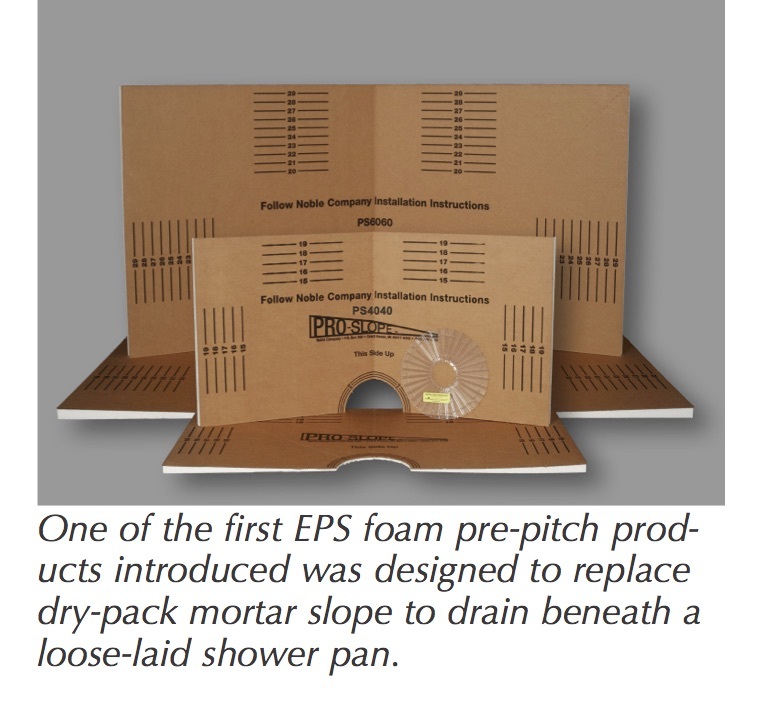 The EPS foam pre-pitches were typically offered in a variety of popular shower pan dimensions. A shower pan was loose-laid over the foam template pre-pitch, and a mortar bed was then installed over the shower pan. By 2002, the next step in the foam shower pan evolution came from Europe, in the form of a molded EPS sloped shower tray onto which a sheet membrane would be directly bonded. Thinset was used to bond both the tray to substrate, and sheet membrane to the foam tray. 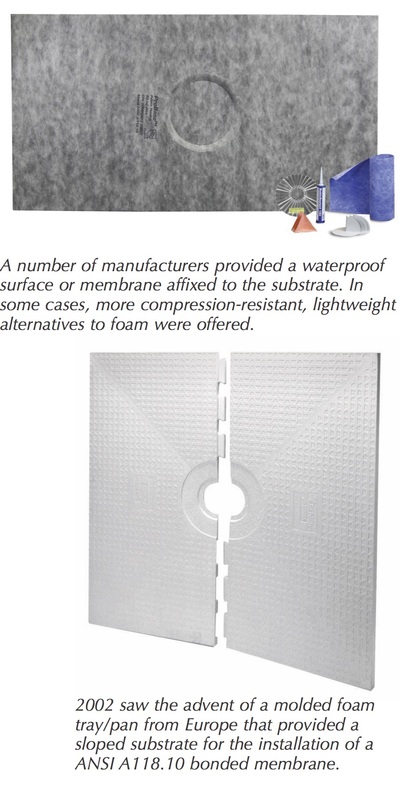 As acceptance and popularity of this European offering grew, a number of similar, competitive products were introduced, in some cases offering a significant difference: a waterproof “skin” or membrane, already bonded or adhered to the foam tray by the manufacturer, which eliminated the need for the installer to apply a waterproof membrane. The shower walls still need to be waterproofed according to industry standards. XPS (extruded polystyrene) has also been introduced as a material solution, with a cementitious/fiber mesh exterior coating on the foam surface. This coating adds a higher compressive strength value to the waterproofing attributes of the foam core. Initially, the majority of these products found acceptance and success in the residential, remodeling, and custom home market. These lightweight, prefabricated foam trays/pans reduced installation time, and promised more consistent end results, with regard to slope to drain. As the ranks of competitors offering these products increased, and scrutiny with regard to product durability and performance intensified, the need for a more codified system of evaluating the products grew. 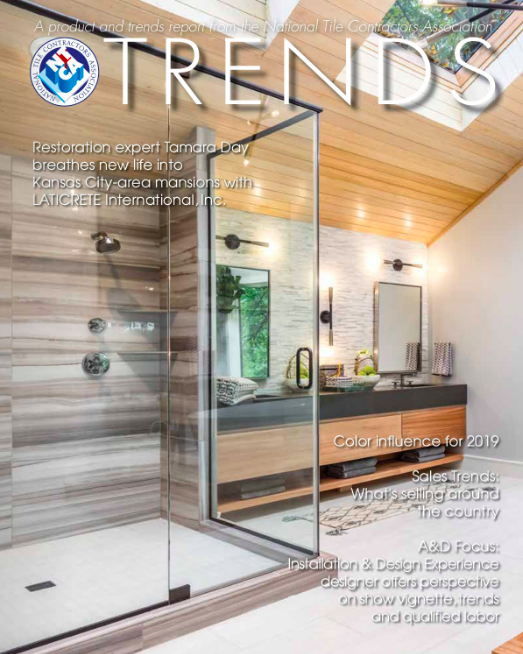 Part of this increased scrutiny was also due to heightened marketing and sales efforts for these products on commercial projects such as hotel showers where architectural and design professionals raised concerns about durability, point loading, compression, etc. Currently, there are no ANSI standards, or TCNA installation methods that address the needs of a contractor or architect seeking to ascertain performance variables amongst various foam tray offerings. The primary concerns are focused on these products’ ability to withstand point loading and compression forces that may occur during installation, as well as when the completed wet areas are put into service. This growing awareness of the need to accurately identify the performance variables that may exist between different available products has not gone unnoticed by the industry. What’s needed is a way to standardize and identify acceptable levels of performance amongst the numerous tray/pan offerings. 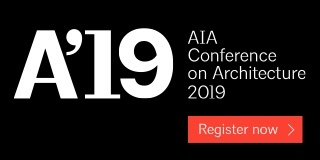 This would help to erase skepticism that still lingers among some in the design and construction community. Maribel Campos, Director of Standards, ICC-ES PMG (International Code Council Evaluation Service for Plumbing Mechanical and Fuel Gas), in particular has been a driving force in her efforts to establish an ANSI standard for a “field fabricated tiling kit.” In her previous role at IAMPO (International Association of Mechanical and Plumbing Officials), and in her current position at ICC, she has worked with industry contacts to create an ANSI standard that includes prefabricated foam shower pans/trays as part of the system. Campos’s efforts have their origin in IAMPO standard PS106, which has a number of test criteria and requirements. 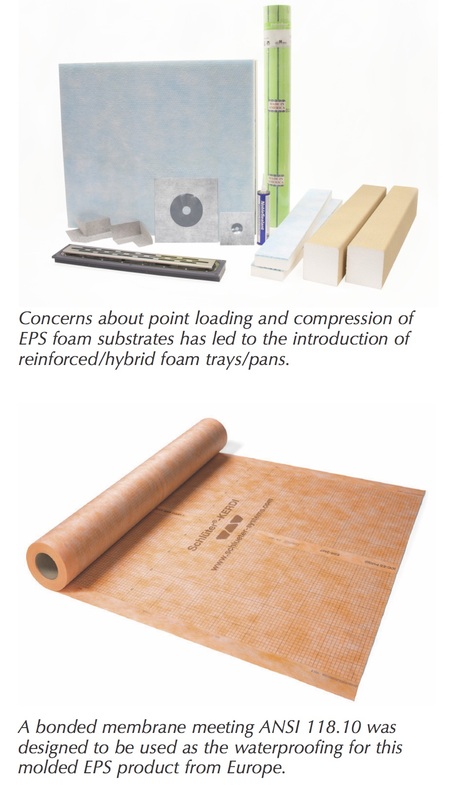 Perhaps one of the most critical and scrutinized portions of this standard focuses on the means and methods to evaluate and assign compressive strength and point loading characteristics of these foam trays. tiling kit. Elements of IAMPO PS106 are part of a proposed ANSI standard for these products. As with any proposed ANSI standard, divergent, opinionated, and sometimes differing viewpoints need to come into alignment. While this proposed ANSI standard is a work in progress that is still in committee, all agree there needs to be more work done to finalize standards and methods that ensure the right product for the job is installed the right way. So, what to do in the meantime? The awareness that some of the foam pans and trays available may have compression/point loading issues, which could impact tile selection, is a good start. Your own survey of the products available might be required to vet the tray or pan that meets your needs: some pans have the waterproofing built in, while others require you to tackle the task. There are also varying methods of pan or tray construction, with reinforced or multilayer systems offering higher compressive strength. With the range of tile membrane types growing, we are now beginning to see a new trend developing toward multi-functional products. 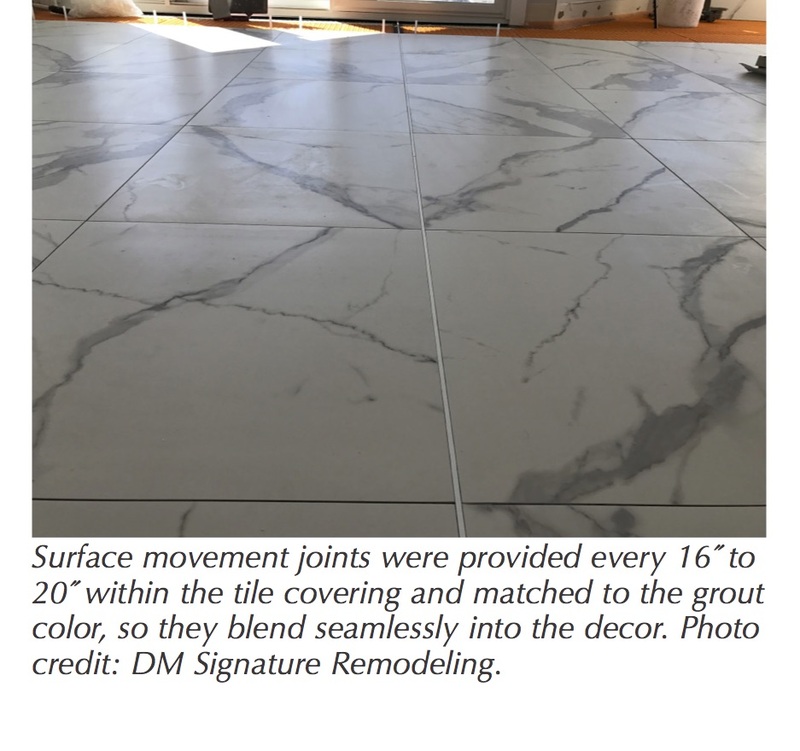 This type of “Swiss Army” membrane can be the go-to product for almost any tile installer, and the Gateway Grand project led by Dobri Michev provided the perfect occasion. The Gateway Grand is a luxury condominium residence in Ocean City, Md., with views of the ocean, the bay, and Ocean City itself. Developed by the Trammell Crow Company, it consists of a 16-story, nearly 500,000-sq.-ft. landmark building and 250 linear feet of direct ocean frontage. Other features include a resort-style, 4,000-sq.-ft. lobby, fitness center, indoor and outdoor pools, parking structure and surface lot, and a 4,500-sq.-ft. freestanding restaurant. Dobri Michev is the owner of DM Signature Remodeling Inc., and an exceptionally talented Certified Tile Installer (CTI) who specializes in high-end custom bathroom design and construction. He was engaged to perform the renovation of an existing condominium at the Gateway Grand. The current floors were to be replaced primarily for aesthetic reasons, but there were a number of other problems too – mainly cracks and even some delaminated tiles, due at least in part to a lack of movement joints. In addition to providing beautiful new floors in the interconnected bathrooms, hallways, kitchen, and living and dining areas, there were four primary requirements to fulfill. First and foremost, the floors simply needed to last. Second, the owners wished to have warm floors in both bathrooms for added comfort. 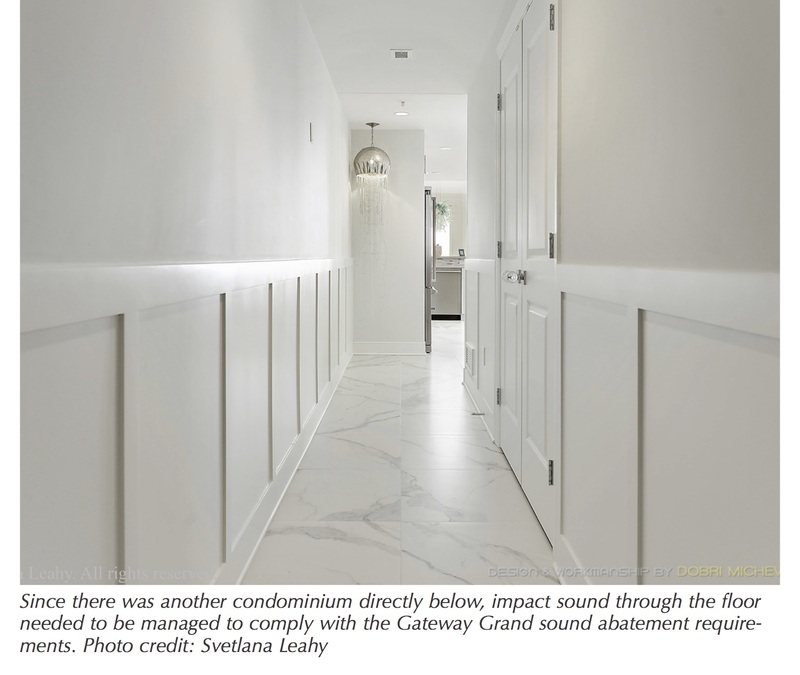 Third, since there was another condominium directly below, impact sound through the floor needed to be managed to comply with the Gateway Grand sound abatement requirements. Finally, since this was a renovation, there was limited height available, meaning the floor covering assembly needed to be kept as thin as possible. Dobri selected Schluter®-Systems’ DITRA-HEAT-DUO membrane to meet the multiple requirements of the project. The one membrane combines uncoupling to prevent future tile cracking, floor warming with thermal break, and impact sound control – all in a single layer. The product choice was primarily driven by the sound-control requirement. Laboratory testing documented in the product technical literature demonstrated the benefits of the membrane in reducing impact sound transfer to the space below. When tested according to ASTM E2179, a porcelain tile assembly including the membrane reduced the impact insulation class (IIC) of a bare concrete slab with no ceiling underneath by 20. When tested according to ASTM E492, the IIC of an 8˝-thick concrete slab with a porcelain tile assembly including the membrane was found to be 50. As those conditions very closely reflected the actual environment for this project, this membrane was a logical choice. It was clear that the membrane would also meet the other project requirements in an elegant way. Use of an uncoupling membrane throughout the tiled areas provided protection against stresses caused by movement of the suspended concrete floor. From there, heating cables were quickly and easily secured between the studs on top of the membrane in the bathrooms. This didn’t create height differences between the bathrooms and hallways since self-leveling compounds are not required to encapsulate the cables. The tile could also be installed immediately after the cable was placed. In order to ensure a high-quality installation, Dobri meticulously followed the manufacturer’s instructions and industry standard guidelines from start to finish. He began the installation by securing a self-adhesive polyethylene foam gasket to all the walls the tile would abut. This simple act ensured that a perimeter movement joint was present at all restraining surfaces from the bottom of the tile assembly, right to the top. This joint was essential to allow the tile assembly to expand unimpeded and to prevent the transfer of impact sound between the floor and walls. 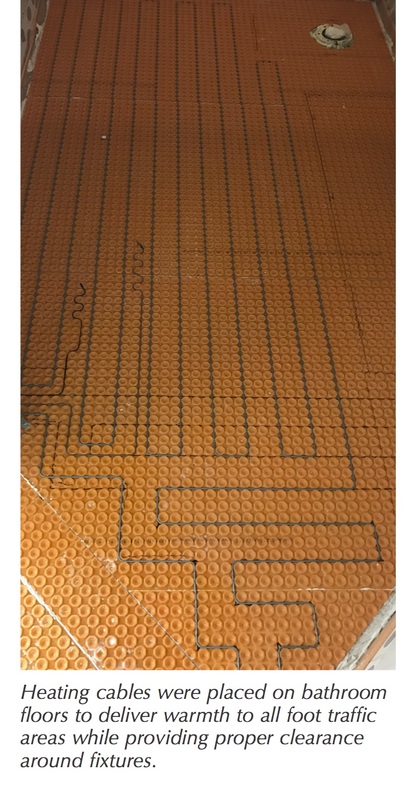 The next step taken was to level the floor before installing the membrane, which greatly simplified the tile installation by making it easier to keep any lippage between the 24˝ x 24˝ porcelain tiles to a minimum and within industry standards. 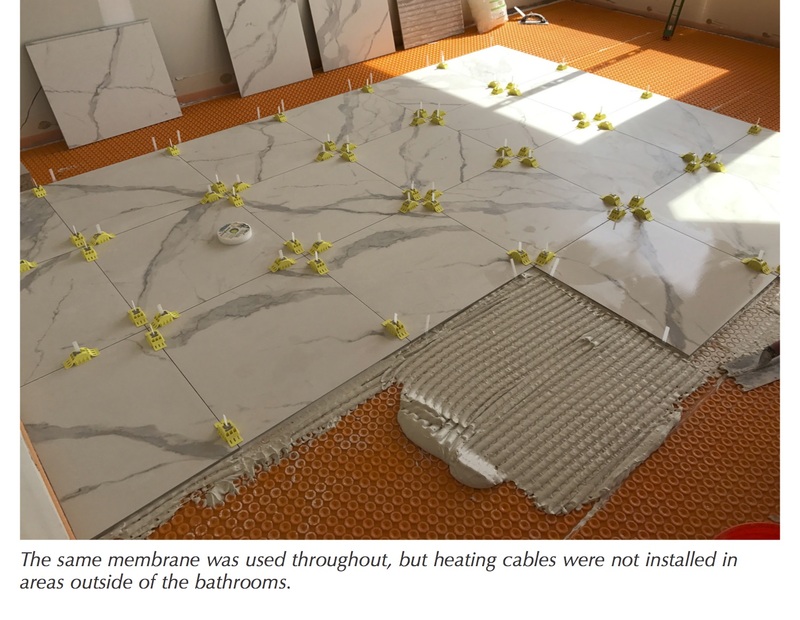 The membrane was adhered to the floor with a suitable thin-set mortar, heating cables were snapped in, and tile installation began. A lippage tuning system was used to further minimize elevation changes between tiles. These systems are becoming more and more popular all the time, in large part due to the consumer demand for large-format tiles. Surface movement joints were provided every 16˝ to 20˝ within the tile covering. Prefabricated movement joint profiles were used to eliminate the need for any associated maintenance going forward. 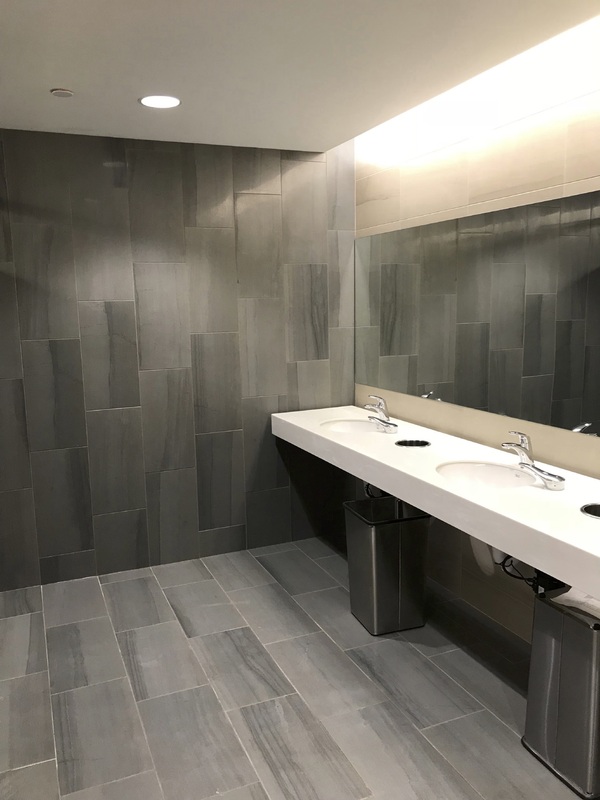 The visible surface of the profiles was relatively narrow and selecting the color to match the grout made them blend seamlessly into the decor. 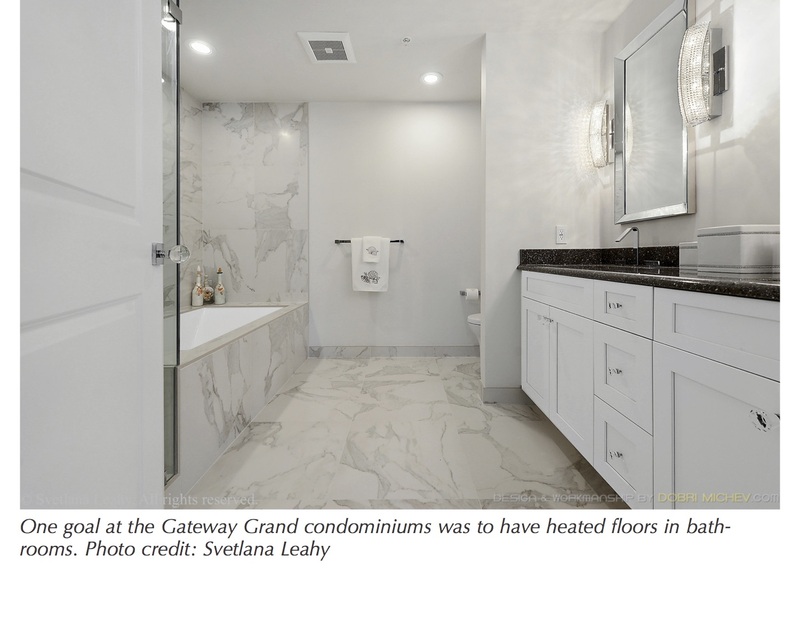 By selecting a membrane that was uniquely suited to meet the requirements of the application and paying close attention to the technical and aesthetic details, Dobri Michev was able to provide the owners of this luxury condominium with tiled floors truly befitting the space. Beautiful, durable, and comfortable tiled floors that reduce impact sound transfer to the downstairs neighbors are now within reach. They can be achieved with an assembly that is compatible with surrounding floors and does not compromise other homeowner objectives. With the Occupational Safety and Health Administration’s (OSHA) silica standard already in effect for the construction industry and about to go into effect in June of 2018 for general industry, many employers are anxious about whether their programs will pass muster with federal and state OSHA officials. But if you’re in Maryland, worry not. Two years after then-Secretary of Labor Tom Perez heralded the issuance of a final rule on Occupational Exposure to Respirable Crystalline Silica at the International Union of Bricklayers and Allied Craftworkers’ John J. Flynn BAC/IMI International Training Center in Bowie, Maryland, the “Old Line State” has still not adopted a corresponding silica standard. Section 18 of the Occupational Safety and Health Act (OSH Act) provides that states may choose to develop and enforce their own occupational safety and health standards. Localized oversight of workplace safety is permitted so long as the state occupational and safety health plan is “at least as effective in providing safe and healthful employment and places of employment” as the federal standards. Though state health and safety standards often simply emulate corresponding federal health and safety standards, states can seek to implement standards that are more stringent than their federal counterparts. California’s recently enacted Process Safety Management for Petroleum Refineries is one example of a more stringent state standard. But what happens when states fail to implement any corresponding health and safety standard? Not much, apparently. In the case of OSHA’s silica standard, the administration gave states six months from the March 25, 2016, issuance date to adopt their own respective silica standards. Noting the numerous delays announced by OSHA in the enforcement date of the construction silica standard, Maryland adopted a wait-and-see approach before taking any action. Maryland was also apparently awaiting a decision from the United States Court of Appeals for the D.C. 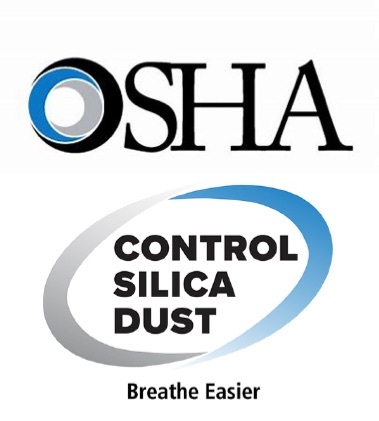 Circuit on industry challenges to OSHA’s silica standard. The United States Court of Appeals for the D.C. Circuit issued a decision in December 2017 that rejected all industry challenges but remanded the standard back to OSHA for consideration of whether to include a medical removal provision, a challenge raised by labor unions. After OSHA complained to Maryland about the delay in implementing a silica standard, Maryland safety and health officials responded that the state agency was waiting on OSHA to issue an amended standard to include medical removal provisions. Maryland is not alone, either. Arizona, Hawaii, Utah, and Wyoming have also failed to adopt a corresponding standard. These states may lack the financial resources and manpower to develop and promulgate a corresponding safety standard on their own. If a lack of resources is a problem, however, the state could simply choose to enact a mirror image of the federal standard or promulgate a short 30-words-or-less regulation that adopts and incorporates OSHA’s silica standard. None have done so. Until last month, Washington State had also neglected to adopt a silica standard. In Washington, the issue appeared to be a matter of priorities. Washington recently adopted its silica standard on March 23, 2018. Theoretically, a failure of a state occupational safety and health plan can allow OSHA to exercise its authority under Section 18(f) of the OSH Act to rescind the state’s occupational safety and health plan and have the federal government take over enforcement of workplace safety laws and regulations. This is considered the “death penalty” option and is a time-consuming and litigious process. But OSHA may take a shot across Maryland’s bow and send the state a “show cause letter” asking why a proceeding to reconsider the state’s final approval status should not be commenced. That is what OSHA did with Arizona in 2014 when the state adopted different fall-protection requirements for residential construction. For employers that work within these five states – and only these five states – there is no silica standard with ancillary requirements such as exposure assessment, medical surveillance, and specific housekeeping measures. These five states still have older airborne contaminant requirements that cover silica, so employers should still ensure that their employees are protected from levels of respirable crystalline silica above the permissible exposure limit. For employers that work in multiple states that include one or more of these five states and one or more of the remaining 45 states, the lack of silica standards in these five states can create confusion and complicate compliance efforts. Do you adopt a program where the company “turns off” its silica program in these five states? While this may ease compliance expenses in the short term, employers may not want to take this approach; crews could get confused and forget to “turn on” the program when they cross state lines. Such a program could also worsen employee morale. Employees would likely notice their employers easing up on silica compliance efforts in states where they don’t have to comply. Employers focused on long-term compliance may want to adopt a consistent silica program that treats compliance as applicable in all 50 states. Employees will likely appreciate the company’s position, and besides, the current “free ride” on silica offered by Arizona, Hawaii, Maryland, Utah, and Wyoming won’t last forever. In its existence, OSHA has never allowed a state plan to forego adopting a standard the agency deems essential to workplace safety. Ask the Experts Q&As are culled from member inquiries to NTCA’s Technical Support staff. 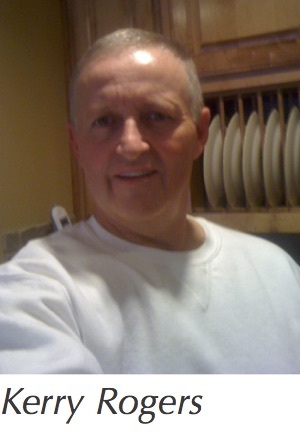 To become a member and make use of personal, targeted answers from Technical Support staff to your installation questions, contact Jim Olson at [email protected]. I recently installed 2” x 2” sheet-mounted mosaics in a public park bathroom. During the tile installation the general contractor provided me with limited lighting. Electricians installed LED light fixtures above and against the wall. During the installation, the owners of the facility were very pleased with how the product looked on the walls. But I noticed that with these very bright lights located directly over the tiles, you could see imperfections. Plus, shadows from the lighting made the tile job look like it was not done well, but when you ran your hand against the tiles you could feel that it was done properly. A couple of months later they contacted me for a meeting to go over the installation of the tiles because they felt it was unacceptable. When I arrived the owners went over some of the areas and claimed that I did not do a good job. I did notice some tiles that needed to be replaced, but for the most part they were installed very well. I told the owners that I do not have a problem going over quantities that needed to be replaced and that I would take care of it; we even went to another facility where a different installer installed the same type of tile but the light in that room was not directly against the wall and you could not see the cast shadows – but when you ran your hand again the wall you could feel the imperfections. The bottom line is that the owners want me to replace the whole wall, which it is not necessary to fix the problems. I also documented during the process pictures that the drywall was not properly installed and leveled, and that was another reason for the imperfections. Can you provide to me or help me with some sort of literature or a reference to a handbook so I can protect myself from being taken to court? Clearly this issue is because of the way the lighting fixture is located and how it casts shadows, making the installation unacceptable. I did find some information about this topic but I do not know how to approach this to avoid court. The situation that you have found yourself in is very common to our industry. We have received several technical calls about the influence of lighting on finished tile work. The design community has embraced this type of lighting to give a more dramatic lighting effect. Any type of lighting located on or near tile walls accentuates irregularities by casting shadows on the tile surface. The good news is, our industry has addressed this issue in several places: in the TCNA Handbook, page 34; in the NTCA Reference Manual from page 121 to 127; and in the ANSI standards on page 26. There are allowable amounts of lippage in any tile installation. 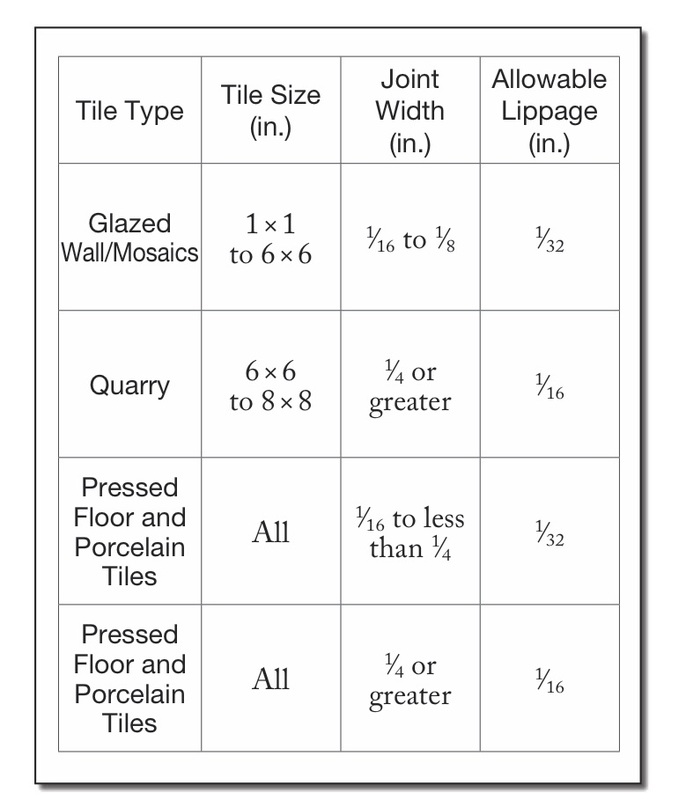 There are charts in both the ANSI standards and TCNA Handbook based on the type of tile, tile size and joint width. Attached is an image of Flatness and Lippage table on page 36 from the TCNA Handbook, versions 2017 and 2018 (image courtesy TCNA). In summary, our standards say that the angle of light cast on tile work can accentuate otherwise acceptable variance. We have had members bring lights in to a situation like this, taking photos of the same wall under two different lighting influences. This can be dramatic and show the impact lighting has on the appearance of a installation. Attached is an image from the NTCA Reference Manual showing the same wall with two different lighting options. The summer construction season is fully upon us. Let’s take hold of our schedules and not fall into the trap of allowing the tyranny of the urgent to keep us from properly planning all our jobs for execution in the field. Best in Class contractors make it a habit of pre-job planning every project because they know that without this critical tool, they will underperform in one or more aspects. Often the final quality suffers as well as the final profit when this step is overlooked. Pre-job planning is a simple process with many steps that need attention prior to starting every project. The purpose is to ensure that the entire team is fully informed of the project specifications, site limitations, owner expectations, labor budgets, and material delivery dates. This is the time to uncover and work to resolve any issues. Here is a good start on what to include in planning to make this meeting with your project team a success. Specific scope review should include everything about the installation your field supervisor and crew need to know, including the specific expectations of the end user and all the installation methods, materials, patterns and details. Make sure the superintendent, foreman and crew leader understand all specific details and have a copy of drawings, details, product data, and SDS. This can be on paper or digital; whatever works best for your team. List of equipment, along with a schedule for getting it to the job site. List of materials including quantity ordered, identifying any delayed or backordered items. Contact information for all the people involved on the project, including cell phone numbers and email addresses. Job labor budgets and production goals for each unique area. This usually creates some good conversation about feasibility and practicality and helps create buy-in from the team. The overall project schedule with all trade-specific tasks broken out and identified with start and finish dates, and any float days. Doing this will provide the best chance to stage and staff the project in the most efficient manner possible. It will also identify any potential manpower issues. Identify any expected obstacles and concerns, mapping out a plan to mitigate them as much as possible. This meeting can usually be completed in an hour or less, but it can save you many hours of frustration and most if not all of your profit margin. When the phone never stops ringing – and it seems like the team on the job needs information before they can make the next move – you’re operating in what I like to call “Fire Drill mode.” When this happens, no one is efficient, and profit is being wasted. That’s why Best in Class Contractors avoid this scenario by properly pre-planning every project and executing a turn-over meeting with their field team. I’d like to hear how you handle this aspect of your projects, so send me ideas and help me discover what I’m missing out on. It is May Day and I am penning this letter amidst making final arrangements for Coverings and putting finishing touches on this issue. I just created the first posts from Coverings ’18 on the Tileletter and National Tile Contractors pages on Facebook, where I’ll be posting a lot of news, announcements, products and developments during Coverings. And since nothing ever goes away on the internet, you can look back at our Coverings coverage there as well. Search for it at #ntcaatcoverings18. By the way, if you are on Facebook and aren’t following those pages, you are missing out on articles and information throughout the year, not just trade show time. And I hope you are also occasionally visiting TileLetter.com online – this digital site posts fresh news every day and you can access TileLetter past issues and archives too. 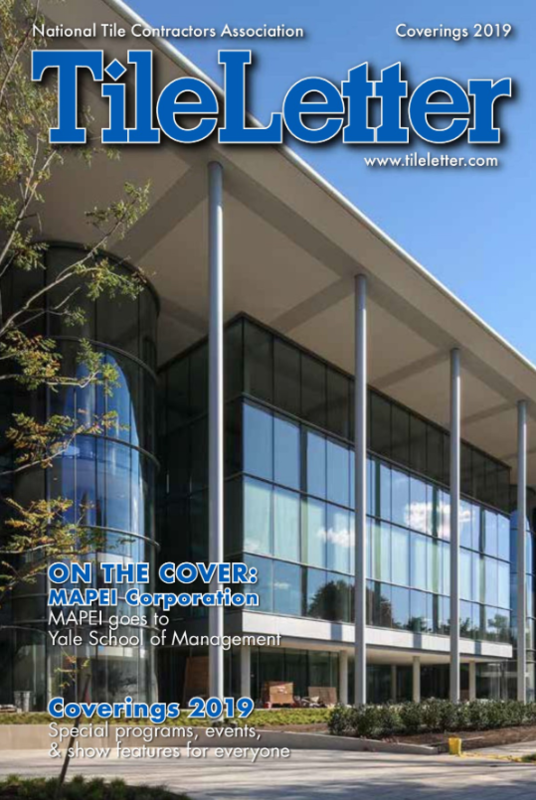 For this issue, we have a full slate of business and technical stories. Check out the Business Tip story about OSHA compliance for silica, and also Dean Moilanen’s story about using foam shower trays and the push towards establishing a standard for this product. In our Ask the Experts section, we explore the good, bad and ugly of wall lighting placement and how it can help make or break your project. Do you install a lot of stone? Check out the document in our Stone Section for pointers from the Natural Stone Institute on successful natural stone installation. 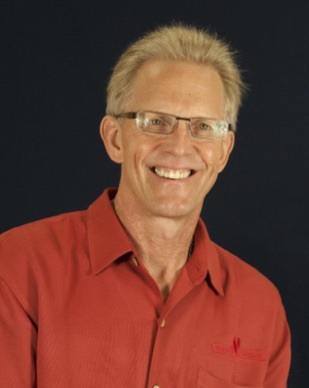 Have you attended a presentation or workshop with NTCA’s Robb Roderick? Well, meet the man who trained him as a helper back in the day – Kerry Rogers, a recent NTCA member, profiled in Member Spotlight. And they say all good things must come to an end. Such is the case for Lynnette Bloomberg’s career at the Noble Company. At the end of this month, Lynnette will retire after 33 years with Noble. Read a little about how she came to work for the company and what coworkers and colleagues have to say as they wish her well. By this time next month, I will have reconnected or met anew many of you at Coverings, and will have spanking new topics to bring to you on the pages of TileLetter for the next few months. Anything specific you’d like to know more about? Drop me a line at [email protected] to make a request!